Italian press today published claims that ISIS has threatened to release the huge wave of migrants to cause chaos in Europe if they are attacked. 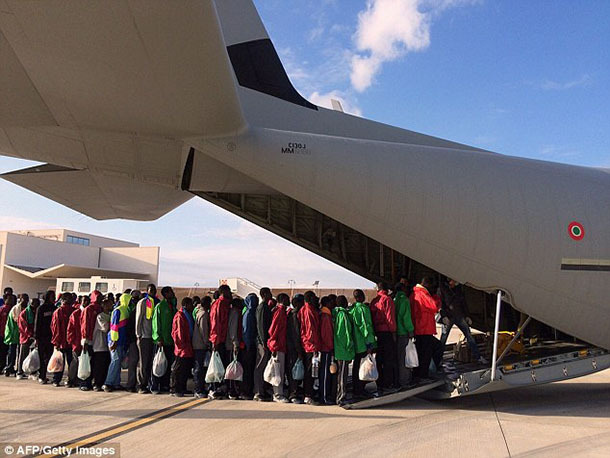 ISIS has threatened to flood Europe with half a million migrants from Libya in a ‘psychological’ attack against the West, it was claimed today. Transcripts of telephone intercepts published in Italy claim to provide evidence that ISIS is threatening to send 500,000 migrants simultaneously out to sea in hundreds of boats in a ‘psychological weapon’ against Europe if there is military intervention against them in Libya. Many would be at risk of drowning with rescue services unable to cope. But authorities fear that if numbers on this scale arrived, European cities could witness riots. Separately, the militants hope to cement their control of Libya then cross the Mediterranean disguised as refugees, according to letters seen by Quilliam the anti-terror group, reported by the Telegraph. Italian Minister for the Interior Angelino Alfano said on Monday that Libya was the ‘absolute priority’ and insisted there was ‘not a minute to lose’ for the international community. 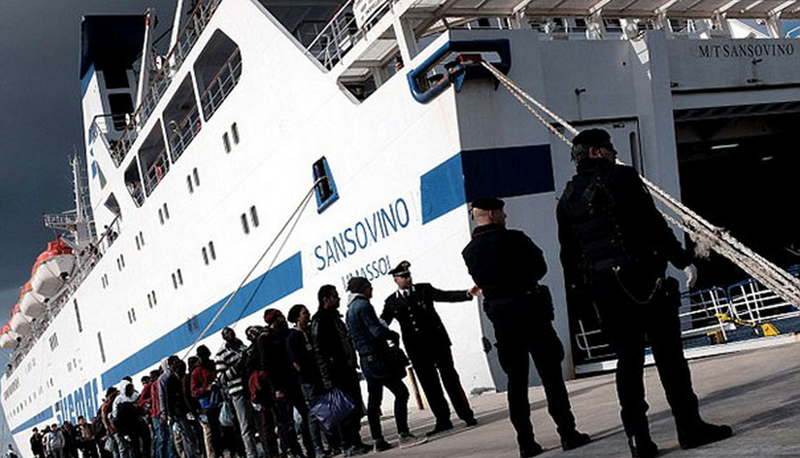 More than 170,000 migrants arrived in Italy by boat last year. Since last Friday almost 4,000 have been rescued. The spread of militancy across Libya was predicted by the country’s deceased leader Muammar Gaddafi, who warned the Mediterranean would become ‘a sea of chaos’. ISIS had not yet made frightening inroads into Libya when he made this chilling prophecy during his last interview in March 2011. But the Arab Spring uprising that year sparked a civil war in Libya and opposition forces – backed by NATO – deposed Gaddafi in violent coup just five months after his ominous prediction. In October 2011, forces loyal to the country’s transitional government found the ousted leader hiding in a culvert in Sirte and killed him. Four years later, Islamic State kidnapped 21 Egyptian Coptic Christians in Sirte – Gaddafi’s birthplace – before releasing gruesome footage of their beheading on the shores of the Mediterranean, just 220 miles south of Italy. In it the terrorists warned that they ‘will conquer Rome’. This entry was posted in Uncategorized and tagged 000 migrants to Europe, Caliphate, Crisis in Libya, is, ISIS, ISIS threatens to send 500, Islamic State, Italy, Jihadists, Lampedusa, Migrants, Quilliam, Risk of Terror, Terrorists. Bookmark the permalink.